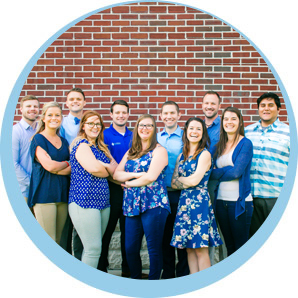 Fishers chiropractor, Dr. David Evans heads a one-of-a-kind team dedicated to supporting your health. 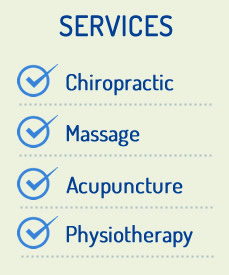 With a variety of services for your needs, you can count on ProWellness Chiropractic to provide the most professional care possible. You’ll enjoy our upbeat environment created with your best healing in mind. We’ve been in your shoes. We understand how frustrating it is to be limited in what you do from day to day. So don’t let your limitations take control of your life; reclaim your life and take control of your health! 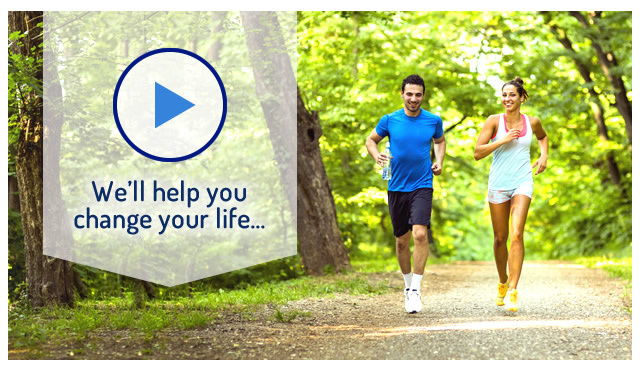 Learn more about our services and how we can help you get back to living the life you love. Schedule a no-obligation consultation and let your healing begin. The whole office is amazing!! My new favorite place to come when I need chiropractic and or cupping! You will not be disappointed from the time you walk in to the time you leave! Very personable and welcoming staff in a comfortable environment. Ian is very professional about his work and makes sure he talks to his patients throughout the visit, making them feel comfortable and open for any discussion that may seem uncomfortable to talk about. He listens to to his patients concerns about what is bothering them and takes time to talk to them about options for relief. I will be a returning patient!! I was impressed and will refer others here! I LOVE EVERYTHING YOU GUYS DO!!!!! I continue to tell everyone about your practice. You have made me feel so much better and I always feel cared about when I come in. Thank you for everything. Dr. Burns is amazing! I am recommending him to everyone I know! Dr Boone was excellent..thorough, and very knowledgeable. I had never been to a chiropractor. I probably should have been in a long time ago, but the fear hindered me. I told Dr. Evans about my uneasiness and he immediately made me feel comfortable. He explained the process and gave me ample opportunity to ask questions. The ladies at the front desk were welcoming and extremely helpful! I recommended to others after my 1st visit! Dr. Boone was very professional and made me feel comfortable. He always made sure I was doing ok. I was nervous at first but now I cant wait to go back. I am amazed that after our first visit and adjustment that my daughter, who had been experiencing sports related pain for months, was dramatically improved! We are so pleased with the results that we are planning to use ProWellness for other members of our family in areas that the traditional medical industry has failed. Thank you! Impressed. And I don’t come by that easily. Well done! Looking forward to being pain free, eliminating restricted mobility and getting back to living life. I am already feeling much better. I anticipate continuous improvement. I know I’m on my way to getting back to feeling like ME. Dr. Burns is a well trained, attentive and thorough practitioner. His personality accentuates his clinical skills and he has a knack for inspiring an intrinsic desire to participate in the chiropractic care process. Dr. Burns did a great job with my first appointment and intake. He took the time to listen to me about my concerns and he provided great insight and feedback throughout the session. Dr. Cory Harkins is very professional and offers more solutions than other practices. Very polite staff and immediate results. I would recommend ProWellness to anyone even if you are currently seeing another chiropractor. You won’t be disappointed and their prices are very reasonable. I think this office is AMAZING! I HIGHLY recommend going here for your chiro needs and much more! I send my clients to your doctors as much as I can. I hope they come and get all the amazing care I get when I come. Thank you again Ian! Absolutely fantastic experience. I will be back often. Thanks team! Dr. Evans is sincere and trustworthy. Love you all!!!! From front to back. You all rock!!! Dr. Boone did a great job on my first visit. I was comfortable with the staff when I walked in and felt even better once I left. Keep up the great work! This team is professional and highly recommended! With the essential oils, massage, adjustments, advice and the facility that they offer, one will, no doubt, become a regular patient. Thank you Dr. Evans! I always receive great adjustments and feel relaxed and ready for the work week. Dr. Boone has been fantastic. He listens to everything I say and explains everything clearly. I really enjoy coming. I’ve only gone twice and have already seen improvement in my lower back. I’m very excited and happy. I’ve been in pain for years and to know that there is relief now is a great feeling. I will be a happy customer for a long time! Great visit! I sent my husband the next week, and we will both be returning. I had my toddler with me and everyone was very nice to him. Thorough explanations of treatment during pregnancy, and even answered questions about my toddler and new baby. Everyone is very welcoming and accommodating! I highly recommend! Dr. Ian Boone is a fantastic chiropractor! He understands your physical issues and tries to help the specific areas in the best way possible while still making you feel very comfortable. He listens and advises the best stretches and workouts for your back to lead to a fast recovery. My back has never felt better after his techniques! Dr. Boone is superb! Made me feel very comfortable and I’m ready feeling the results after 2 treatments. Would definitely recommend and I will be going back! Ian is awesome and knows what he is doing! Makes the atmosphere inviting and is very professional. Would recommend him to anyone and everyone, especially athletes! This is a great place and competent help. I feel very comfortable and I am confident to get the best help ever. It’s a very pleasant atmosphere during my whole visit from waiting time to treatment. Thank you! I’m not scared of chiropractors anymore! Very professional staff, helpful in every way. I felt much better when I left with almost all back pain gone. Very pleased with my first visit and my treatment plan!! Just after a couple sessions my back pain has nearly disappeared. It’s been a great feeling getting back to normal. Great experience overall from all the staff. ProWellness Chiropractic always works with me and my busy schedule to find appointment times that work. I can honestly say that I feel better, my back feels better and my concern about my condition has been relieved. I would highly recommend ProWellness Chiropractic. Dr. Galloway is awesome! He really understands the workings of the human body and is always concerned, able and willing to help me get back to 100%. Everyone from the receptionist to the Doctors, all are friendly, and professional. As a new client, they all made me feel very comfortable, as if I knew them for a while.